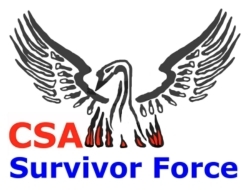 The mission of CSA Survivor Force is to provide factual information about child sexual abuse (CSA) in a gripping manner to all forms of mass media to inform and educate large populations, reduce the stigma to discuss the topic, and affect change in individual and societal behaviors, policies and procedures across the U.S. and the world. Child sexual abuse can be prevented and treated with a conscious and sustained effort. Tommy Womeldorf was born September 3, 1969 in Van Nuys, California. One of six children, as a kid, Tommy loved people, traveling, and sports. As a teen, he started writing music, playing drums and riding dirt and street motorcycles. Most of his 20's were spent drifting, doing heavy drugs and drinking, being in recovery, and traveling. Tommy has worked in construction, telemarketing, carpentry, building props and sets for television and motion pictures and convention set up. Married to his only wife Arlene Ryan in Boston, MA on June 19, 2004, the couple currently resides in Gilbert, Arizona with their four daughters, aged 6 to 15. Tommy celebrated his 12th year of sobriety on April 1, 2015. 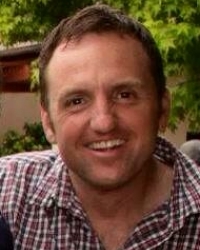 He loves spending time with his family and friends, and lovingly mentors others in recovery. He has vowed to never stay silent about his journey again, and hopes that by sharing his painful story, others will be able to heal.